Baccarat Rothschild Natural presents sweet, creamy, and woody flavor with a smooth, mellow body in a 5x50 Rothschild vitola. I'm a neophyte cigar smoker. I love these Naturals; they are mild down to the last draw, they hold together exceptionally well, and they're perfect with a cocktail in the back yard! I have been smoking cigars for over 50 years,..and this is my favorite! It is sweet and mild, but still has a satisfying tobacco flavor! Natural wrapper, mild smoke and good burn characteristic. I LIKE THE "SWEET" TASTE THAT HAS BEEN ADDED TO THE WRAPPER,....AND THE MILD, SWEET FLAVOR, WITH NO BAD AFTERTASTE. THIS IS MY FAVORITE CIGAR,...AND MY FAVORITE SIZE CIGAR. CONGRATULATIONS BACCARAT FOR A "JOB WELL-DONE!" I love a mild cigar and these are smooth. Excellent and prompt service. I like the mild taste and sweet tip. The ash is as good as a Montecristo! Baccarat is the most consistently good cigar I've ever had. The quality control is superior. I can always depend on a great smoke! I am a beginner to cigar smoking, so these are all going to be new for me. These are very smooth and pleasant for me, with a mild, sweet, almost buttery flavor. They pair well with bourbon, which is my personal drink of choice. I am a big fan of the Baccarat brand. It is a mild, good drawing cigar at a reasonable price. I like the Rothschild size as being "not too small" but also "not too big". This is an outstanding morning with coffee cigar. Slightly (very slightly) sweetened tip that doesn't interfere. Consistently well made and value-priced. If you like mild cigars, the Baccarat is hard to beat. Quality, mild cigar for a reasonable price. The cigar is for cigar smokers that smoke several cigars per day. Great Cigars, ghreat prices and delivery in one day. Can't be beat. Your company beats all others! Thank you. I'm glad a friend from my firehouse recommended you! Mild, smooth and natural tasting. Recommend for cigar smokers that like mild cigars. Consistently great smoking cigar that is both mild & flavorful. Burns even & has a consistent flavorful smoke all the way to the nub. Great smoke. Even draw. Sweet outer wrapper. This is one of the best sub three-buck cigars around. Flavor, construction, draw and consistency easily rivals sticks costing twice as much. The cap is slightly sweetened which fades quickly and does not interfere. Recommended! Tried all the others,Still keep coming back! Great tasting not too sweet cigar. Smooth, very enjoyable experience ! Good cigars all around. What else can I say ?Tppl me some time to find out of the Baccarat Rotjschild. I like this short version of my primary cigar, the Baccarat Churchill. Paired with my rvrning bourbon, it lasts just long enough. Good cigars in general, although lately some of them have become hasrsh on the draw. This was actually my first baccarat, and I could not have chosen a better spot to join in on with this style of cigar. Extremely smooth and even though it's tip is only slightly sweetened, it is still apparent. By far one of my favorites and Baccarat has become one of my new favorite brands. If you like a mild rewarding smoke I challenge you to find a better cigar under $3. It has a mild sweet taste, burns long and evenly and is smooth long after you smoke it below its ring. I've spent more on cigars and have not enjoyed them as much as this one. Roll the dice and gamble on Baccarat...it will pay off! Excellent, mild smoke at the right price. 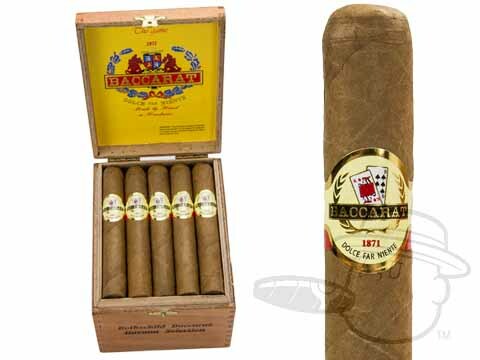 Baccarat Cigars are a great mild to Medium smoke at a decent price. 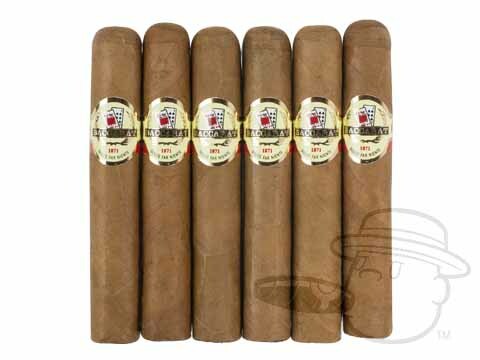 Best Cigar Prices is also a great place to purchase your cigars for freshness and quick delivery. Love the Baccarat Rothschild. This is a great value, mild smoke cigar. Perfect size when you just want to kickback and sip on a cocktail. For the mild cigar smoker who likes a little taste, THIS IS THE ONE. Best cigars I have found for the price. Your company is the most reliable that I have found on the internet. For the money this is the best value around. Burns great, tastes great. This cigar has a sweet taste and good draw. I like them on the golf course. Baccarat Rothschild Natural is rated 4.7 out of 5 based on 58 customer ratings.